Hypomecis umbrosaria - Hodges#6439 (Umber Moth) ♂. The antennae of male specimens of H. umbrosaria have 42-49 segments. 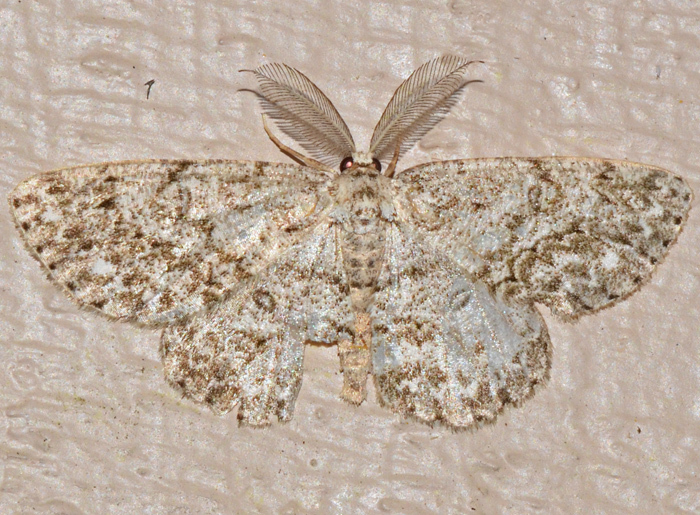 The main color of this moth seems to vary from beige to light or dark gray. This species is difficult to distinguish from H. gnophoraria and the uncommon H. buchholzaria.